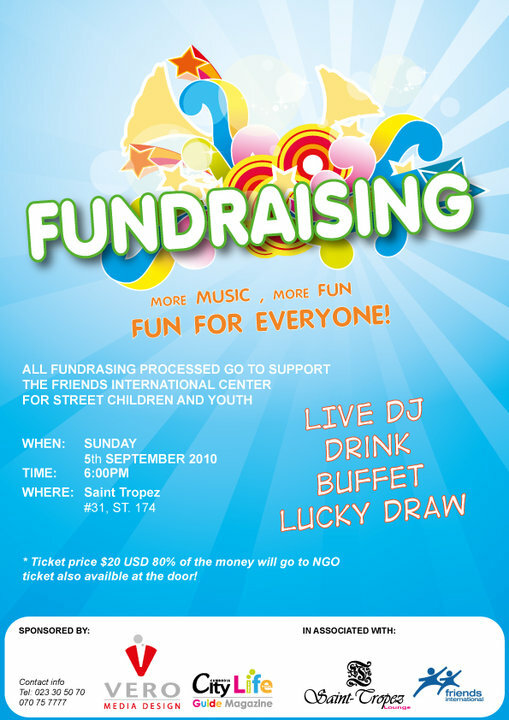 Cambodia fund raising to help Children! 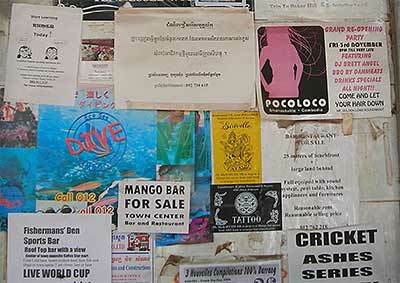 If you are in PhnomPenh city, why not pop in and get a ticket to have some fun? every single cent you spend in this event won’t be wasted, apart from your food and drinks expanses the rest will go to children funds. Thai Prime Minister Abhisit Vejjajiva interpreted a letter from the Cambodian king’s adviser as a welcome gesture, saying the idea to make the Preah Vihear a symbol of reconciliation between the two countries sounded good. “The Preah Vihear has historical and cultural values which could create peace and reconciliation between the people of two countries,” he said. The Thai government has objected to the world heritage inscription on the Preah Vihear for fear of territory loss in the disputed areas adjacent to the temple. In a letter to Abhisit recently, Prince Sisowath Thomico, an adviser to King Norodom Sihamoni, said the two countries should not use the territorial dispute to spoil “harmony” in the region. “Raising territorial claims is a futile attempt that flies in the face of history, and that harms our people by diverting significant resources that could otherwise be invested in development,” the prince’s letter was quoted as saying by the Phnom Penh Post. Abhisit acknowledged the letter but said he had not yet received the copy. It was unclear whether the letter is a personal idea or reflects real opinion in the Cambodian government, he said. Government spokesman Panitan Wattanayagorn said the Thai government interpreted the letter as a personal one to express goodwill and cordial relations between the two countries. The foreign ministry would read and offer an official interpretation of the letter later, he said. The letter was sent when Thailand and Cambodia were both claiming victory over the World Heritage Committee’s decision. Thailand saw a victory in the committee’s decision to consider the temple management plan at its next session in 2011, rather than reading reports submitted by Cambodia during the session in Brazil last week. Thailand expressed its concern that Cambodia might take the areas to the west and north of the temple, which are subject of a border dispute with Thailand, as buffer zones for the heritage-listed property. Cambodia argued it had not taken the areas – and the committee decision would not deter it from implementing the plan it had submitted to the committee months ago. Nationalist movements in Thailand are pressuring the government to oppose all Cambodian moves and activities at the Preah Vihear. They called on the government to use military force to exercise ‘Thai sovereignty’ in the disputed areas near the temple. “Peaceful ways might cause loss of territory,” said Panthep Puapongpan, spokesman of the People’s Alliance for Democracy. Phnom Penh blamed Abhisit’s government for provoking nationalism and for giving out misleading information over the world heritage for political gain. The Preah Vihear’s status was ruled on by the International Court of Justice in 1962. It is situated in territory under sovereignty of Cambodia, but nationalists in Thailand and Abhisit’s government claim only the stone temple ruin belongs to Cambodia, not the surrounding areas. Cambodia’s Prime Minister Hun Sen told the Cambodian people there was nothing to worry about over the border issue with Thailand, despite feelings heating up. The military leaders of both sides met and agreed to keep their troops in their stations. Despite the current calm, Hun Sen said his troops were ready to protect the border from intrusion. 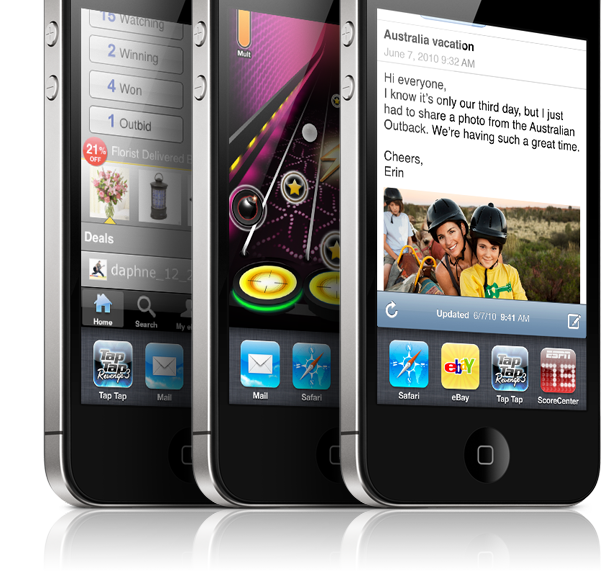 Get your iPhone 4 fixed with iPhone 4 Bumper!! Cambodia iphone 4 price update! Yesterday, Cambodia’s phone vendors down the price of iphone 4 to $US1,580, which is $US120 cheaper then the last few weeks. “The iphone 4 price will be even cheaper in the next few weeks” shop owner said. Since the iphone 4 was announced the signal problem on CNN, now Cambodian phone users seem to have less confident of buying iphone 4, and the phone vendors are afraid of importing iphone 4 anymore. Even though, the first iphone 4 defected but there still people asking around whether iPhone 4 getting cheaper. However, buying the first iphone 4 in Cambodia the phone vendors will not provides iphone 4’s bumper to fix the signal problem as it was announced on MSN news. The famous phone vendor HakSE is selling iphone 4 16Gb “locked Sim” at $US1,000 which is $580 cheaper then iPhone 4 16Gb unlocked one “This is the last offer and last one i have in the shop after that there will be no more locked sim iPhone 4 for sale as we make no money from importing iPhone locked sim” she said, the shop owner promise to unlock and jailbreak as soon as the tools and software become available for unlock with free of charge as long as you leave your contact with the shop. “Unlocked and jailbrak for iPhone 4 will be available soon base on internet” she said. If you decide to buy iPhone 4 locked sim, it will be your own risk because there is no guarantee when exactly you will be able to unlock iPhone 4 that depend on Hacker that release the tools to unlock. Unless you are willing to spend $1,000 for the look of iPhone 4 in your pocket and use it as Gameboy. COMPANIES licensed to operate in the real estate and land valuation sector have slightly increased in Cambodia since January, a fact commentators hope could hint at a recovery in the industry after firm numbers halved during the financial crisis. There are 42 real companies with licences to operate in the Kingdom, slightly more than the 34 licensed in January this year, Moa Pov, deputy chief of Ministry of Finance and Economy’s real estate division, said yesterday. While the number of issued permits still lies far below the 74 companies licensed at the beginning of 2008, before a global economic melt-down hit the domestic real estate sector, he was hopeful for a full recovery of the operator numbers. “If the real estate market recovers this year or next year those real estate and valuation companies will come back,” he said. But Kerk Narin, general manager of Bonna Realty Group, said smaller real estate agents had struggled to remain open for business. The cost of getting a yearly licence and a certificate is 700,000 riels (US$167) – as defined by a 2007 prakas, or edict. Any company operating without a licence incurs a fine of 5 million riels ($1,250). According to The Phnom Penh Post, today Nokia plans to launches its first office in Cambodia to bring Nokia closer to local consumers. look like Nokia is trying to expanse their market as the sales declined, as an Asia-pacific record shown sales declined to 1.986 billion which is 2 percent lesser compare to the same period last year. It doesn’t really matter whether Nokia is trying to expanse its market or not, but it is a good news to Cambodian as one of the biggest mobile phone company decide to launched its office here. This will benefit Cambodian Nokia user in term of products warranty, produce qualities, services qualities and prices. At the moment Cambodian mobile market is an unfair trading where the vendors able to set their price freely without proper warranty on their products plus there is no consumer guarantee act here. For example: if you buy new phone from any of Cambodia’s phone vendors except a few authorized vendors, they will tell you the phone come with one year warranty, and the next day you plug charge to your phone and did everything according to instruction manual then the phone plug break, when you bring it back to the shop and they will tell you “we will repair it for you”. usually in other countries in this situation consumer can get replaced the new phone or get refund within the 28 days of purchase. In Cambodia the word “warranty” is just the crap to make you buy their stuff, there is no real warranty here. well when i say no real warranty, that doesn’t mean they totally cheat you but they giving a crap service, if your phone break within warranty period and you send back to the vendors you will have you to wait couple months before you can get your phone back. Let’s hope other company would come to setup their office in Cambodia like Nokia, and make Cambodia become a better place for electronic market.